Guess what you guys. I got a heart rate monitor. Actually, my brother got me one when he got his so that we could be nerdy and compare workout stats together. I'm in love with it. 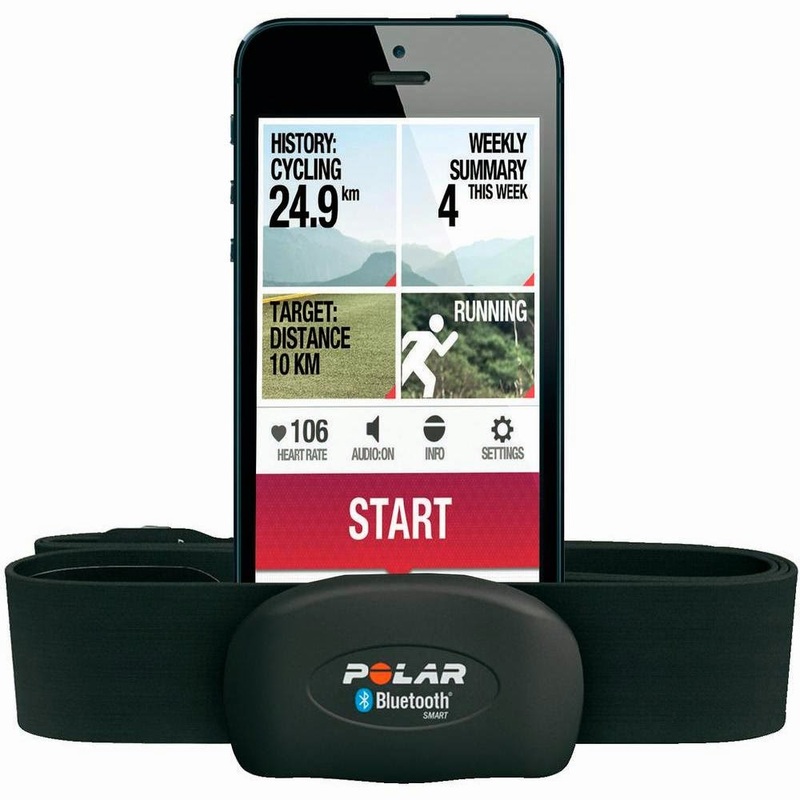 The one we got is the Polar H7. I've seen watches that claim to calculate calorie burn and other devices, and to me, this looked like the most accurate. It's completely based off my heart rate, weight, height, gender, and age, so I don't feel like it overestimates my calorie burn (which I love but also hate because I REALLY thought I was burning at least 400 calories with a 6 mile run! Burning calories is so much dang work!!!). It's been really eye opening and I'm so glad to have something that I'm confident isn't totally overshooting my burn, which I feel like is a flaw of many fitness devices. I link up the heart rate monitor to the Polar Beat app via blue tooth and just go. It's SO fun to be able to glance at my phone during the Insanity exercises or while I jog and see what my heart rate is at. I'm learning that I can comfortably maintain a 160 heart rate for a long time, 170 is hard, and anything around 180 makes me feel like I'm about to die. My average heart rate for an hour long workout has been around 164. I'm also learning that my average heart rate is slightly higher doing Insanity than running, which made me REALLY happy because I was afraid the Insanity wasn't giving me as good of a cardio workout (even though it is crazy hard). One of the things I was apprehensive about was the heart rate monitor slipping down or bothering me during my workout. It totally doesn't. It stays put and it doesn't itch or budge. I would pick this same heart rate monitor (or a similar system- but one that bases all the data off an accurate reading of heart rate) again in a heartbeat. See what I did there?